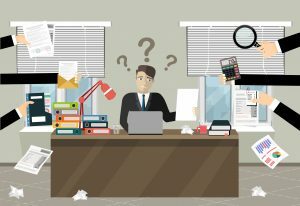 Too busy for Performance Management Software? If you are a Manager then I’m sure you’ll struggle with the constant battle between achieving your own tasks and targets and also being accountable for setting and monitoring the workload of your team. It really is a constant battle and one that you’ll often feel you’re losing.Throw into the mix a push from HR to use the new Performance Management Software that they say is designed to help, and you may hear that little voice inside your head screaming ‘I’m too busy to be using Performance Management Software and to manage my staff AND do my own job’. A team must have members all playing to their strengths. As the manager it is your job to know your direct staff and understand what those strengths are so that you can position them accordingly. You might also want to consider assigning more experienced members of your team to develop junior members, hence doing some informal succession planning and knowledge transfer. The only way you’re going to get to know your team is by holding regular One to One’s and recording/actioning development needs. No-one has time to micro-manage (that’s the whole point of this blog), but everyone must understand what is expected of them and align their activities with the top level organisational goals – otherwise how will they know they’re delivering value? You can give clear direction in a number of ways; creating and cascading SMART objectives; assigning actions/tasks or scheduling regular milestone reviews – the Manager only gets involved when providing guidance so it’s a touch point rather than a time consuming activity. You can’t give an employee a task and then happily forget about the output. Empower your team so that they use their initiative, but provide regular snippets of feedback to grow their confidence. You might need to use constructive suggestions to provide guidance and keep them on track. You’ll definitely see growth within the team once you start encouraging them to think for themselves! But make sure they know you are available when required. With an performance management software like Actus, you don’t always have to schedule a meeting to give feedback, just upload a comment! You’ll be surprised how engaged your employees will be seeing a positive note from their Manager and you have a ready-made audit trail for appraisal time! You’ve probably read all this and are still thinking ‘I’m too busy to be using Performance Management Software’! It may sound like an awful lot of work with reviewing, providing feedback, giving guidance. However, the point is that by using performance management software, all the information is available at the touch of a button and you can remove all that chasing and fact finding time. You can easily verify areas that need your input, identify when team members are not focused and eradicate wasted effort. You can instantly spot underperformance or top talent and work with them accordingly (or engage HR to help you work with those two particular sets of people). You have the reports to plan more effectively, to spot potential gaps in workload for learning opportunities and to make your people management a daily touchpoint rather than an onerous task. We’ll happily show you how Actus Performance Management Software really will help you free up your time to manage effectively whilst getting on with your day job. Request a free demo and find out more about Actus Software why clicking on the buttons below.